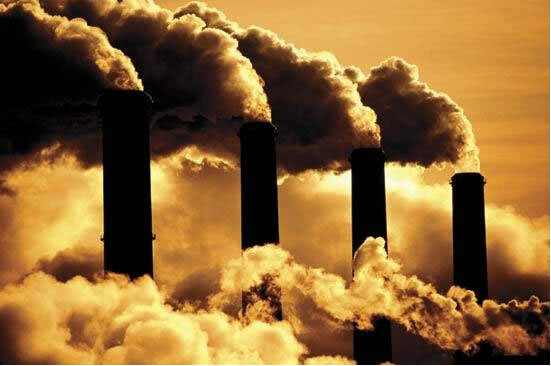 Global warming happens when air pollutants, carbon dioxide, and greenhouse gases get collected in the atmosphere and absorb solar radiation that has bounced off from the earth’s surface. The solar radiation generally escapes in the space, but the pollutants last for centuries in the atmosphere trapping the heat and making the planet hotter. This phenomenon is known as the greenhouse effect. In America, electricity is produced by the burning of fossil fuels which are the primary source of heat-trapping pollution. It also produces two billion tons of carbon dioxide every year. The biggest polluters are the coal-burning power plants. The transportation sector is the second largest source of carbon pollution in the USA generating 1.7 billion tons of carbon emissions per year. To curb climate change, one requires alternative energy other than fossil fuels. The promising fact is that the USA has decreased the percentage of carbon emissions from 2005 to 2014. Extensive research shows that rise in earth’s temperatures leads to longer heat waves, heavier rainfall, frequent droughts and powerful hurricanes. In 2015, drought in California had led to water shortage by 20% from 15% due to global warming. In the past century, the occurrence of drought has doubled. The temperatures of earth’s oceans are getting warmer leading to tropical storms to pick up more energy. Scientists discovered that frequency of hurricanes in the North Atlantic has escalated since the 1980s. In 2005, Katrina hurricane which is the costliest hurricane in the history of US strike New Orleans city and the Sandy storm hit the East Coast city in 2012. Extreme heat waves across the globe resulted in thousands of loss of lives in the recent years. The alarming sign is since 2002, Antarctica is losing 134 billion metric tons of ice every year. The rate could increase if we keep using fossil fuels at the current pace which will also lead to a rise in sea levels in the next fifty to hundred years. Every day, scientists all over the globe learn something new about the consequence of global warming and the impact it has on the health, economy, and environment. Early snowmelt, severe droughts and melting of glaciers will increase the risk of wildfires in the American West. Farms, cities, and forests will face problems due to heat waves, increase in flooding and torrential downpours which will lead to the destruction of fisheries and agriculture. The rise in sea levels leads to coastal flooding in Gulf of Mexico and Florida. Due to the growth of ragweed produced by pollen, high levels of air pollution and favorable conditions for mosquitoes and pathogens, there will be an outbreak of asthma, allergies and infectious disease everywhere. Disruption of habitats like Alpine meadows and coral reefs can lead to the extinction of many animal and plant species. There is no particular solution to curb global warming as there is a high amount of methane, nitrous oxide, and carbon dioxide in the atmosphere. One must use energy efficiency technologies at home, offices or industries to consume less energy, at the same time maintain the level of production, comfort, and service. This way we can save money and power. Transportation must switch to low- carbon fuels, improving the efficiency in all modes of transport and reduce the travel distance with the help of efficient transportation systems. Renewable energy like geothermal, wind, bioenergy and solar has a lot of potentials to meet all the human needs as they are cost-effective and can create employment thereby reducing pollution. 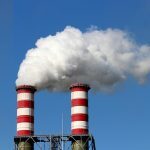 Another way is to decrease the consumption of carbon-intensive coal by not setting up coal power plants. Industries can shut down the coal plants and also store as well as capture the carbon emissions from power plants. The tropical deforestation from agriculture accounts to thirty percent of the world’s heat-trapping emissions. To fight global warming, we can adopt afforestation and take measure to control wildfires. Making the processes of food production more sustainable is another measure to tackle global warming. Deploying next-generation low-carbon technologies like battery technology, novel sources like algae and bacteria, etc. will be critical for reducing global emissions. A substantial impact on climate change could be achieved when the developed countries provide financial aid to the developing nations. This way it will lead to the transition to low-carbon pathways and help to adapt to the adversities of climate change. As a responsible citizen, we must tackle the problems of global warming by creating awareness among the people. The governments, corporates, students, NGOs, etc. must unite together to stop this deadly disaster. They must take necessary steps to give a bright future to the future generations.